I can't wait to see how you graph it all out. Congratz! 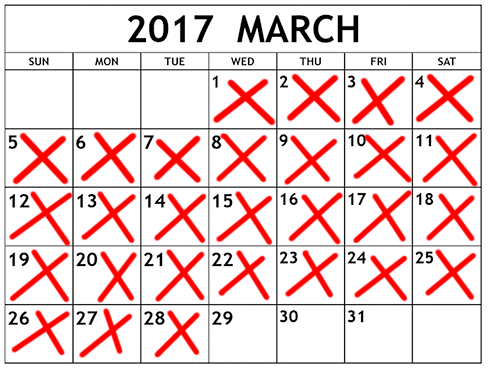 You're in the homestretch! YOU CAN DO IT! Thanks JR! 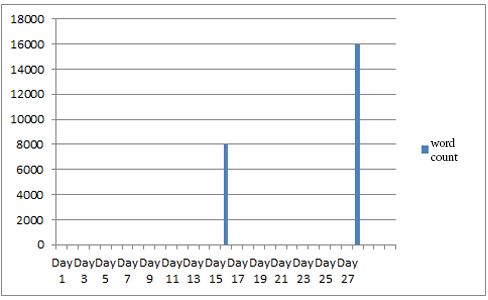 I didn't really keep track of anything this time around so the graph in this post is about all I'll have I'm afraid, but next month I'll be sure to track every day's word count and have a total at the end of the month. Thanks for the comment! I am an amateur writer and i am trying to write everyday. Though some days it becomes mundane. But i am trying my best to keep writing. Thanks for posting. This post has motivated me to write everyday.